Thank you, Farm Rich, for sponsoring this post. As always, all thoughts and opinions are truly my own! It’s that time again, y’all! It’s game day!! In our home, we take game day very seriously! Well… actually we take ALL parties seriously! Lol! Our home has been officially dedicated as the “homegating headquarters!” and my husband and I are completely okay with that! We just love to entertain! Besides our annual Christmas party, I would say that our game day homegating parties are my favorite! On game day, our family and friends crowd around the TV and enjoy a good time, filled with laughter and of course, good food! 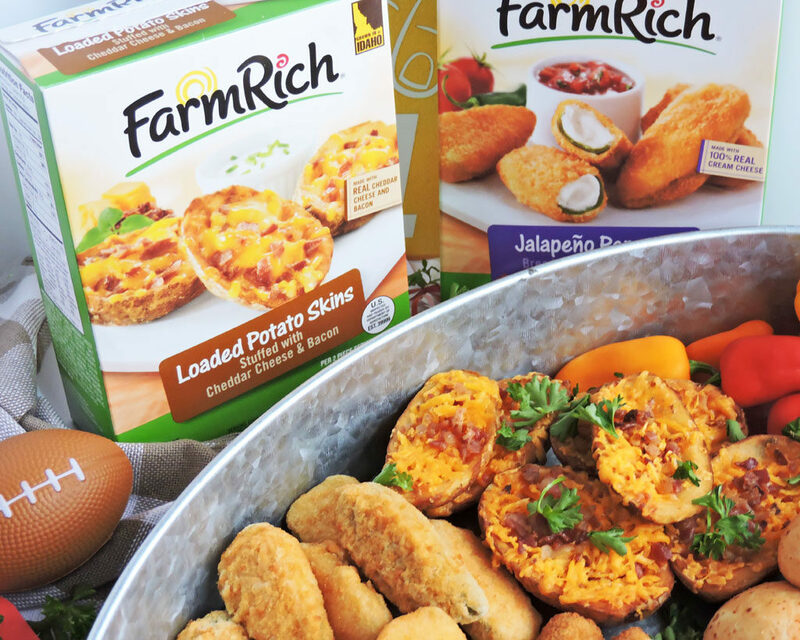 Farm Rich makes it super easy to create the perfect game day spread with their awesome selection of tasty, quick and convenient snacks! 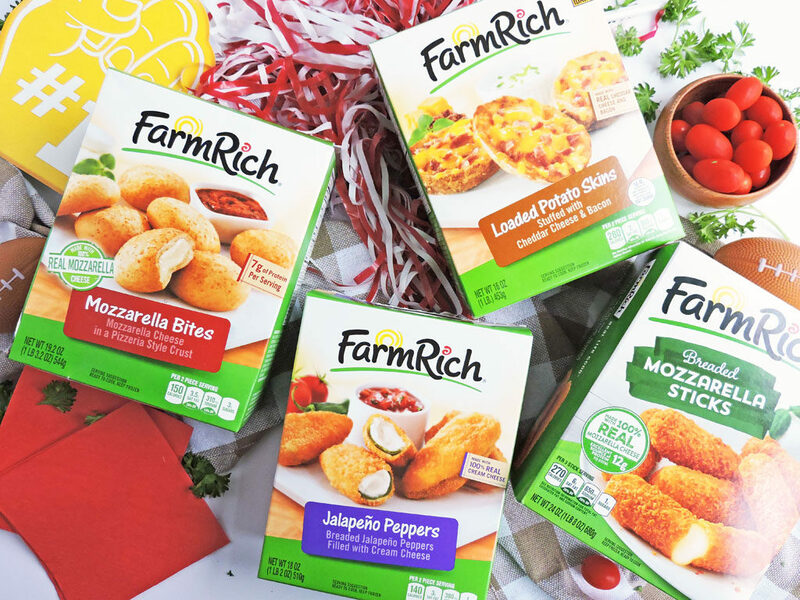 If you head over to the Farm Rich Instagram page @FarmRichSnacks, you can get the details on their awesome game day party in a box (+ TV) giveaway for a chance to win! Official Rules HERE. Even though I enjoy preparing food for our friends and family, I sometimes miss out on the fun because I’m stuck in the kitchen, getting the food ready. 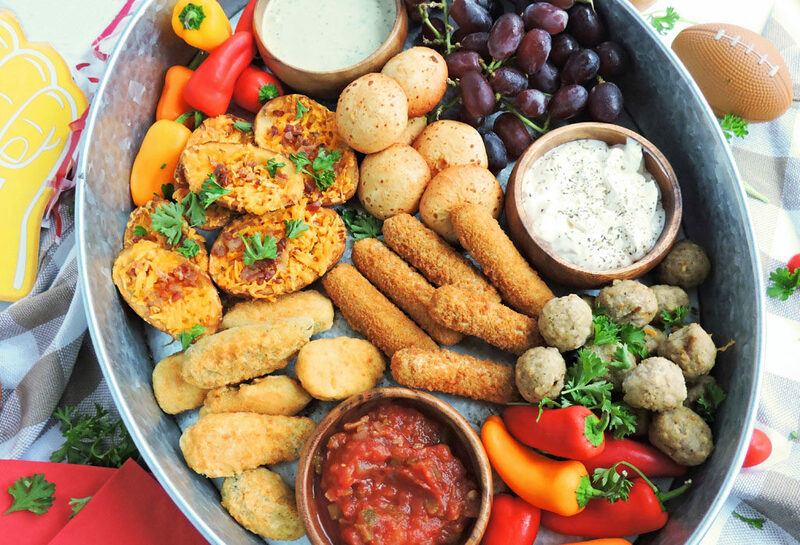 This year, I decided to give myself a break and add Farm Rich snacks and appetizers to the menu! 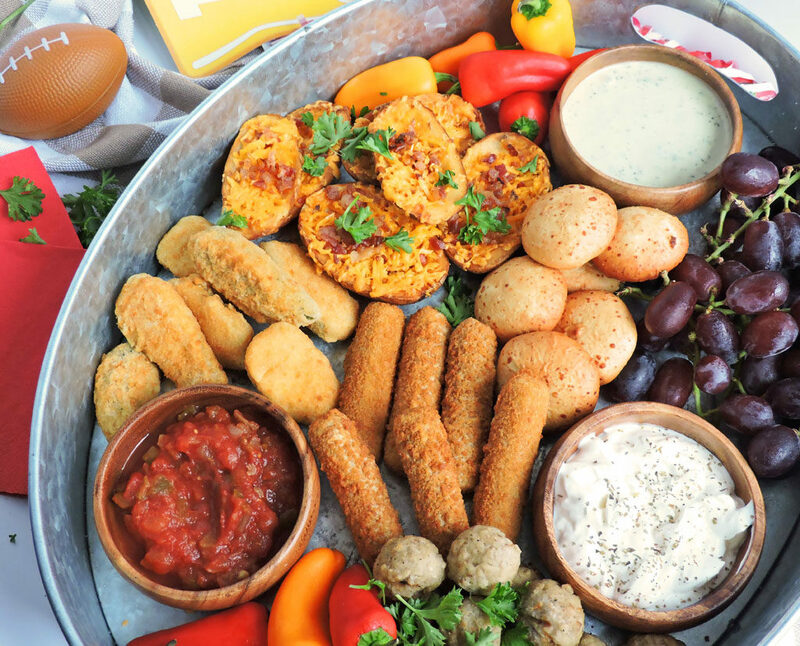 I have often purchased Farm Rich snacks and appetizers for my kids, but I never thought to serve them at my parties. I’m so glad that I decided to use these snacks because it saved me so much time! 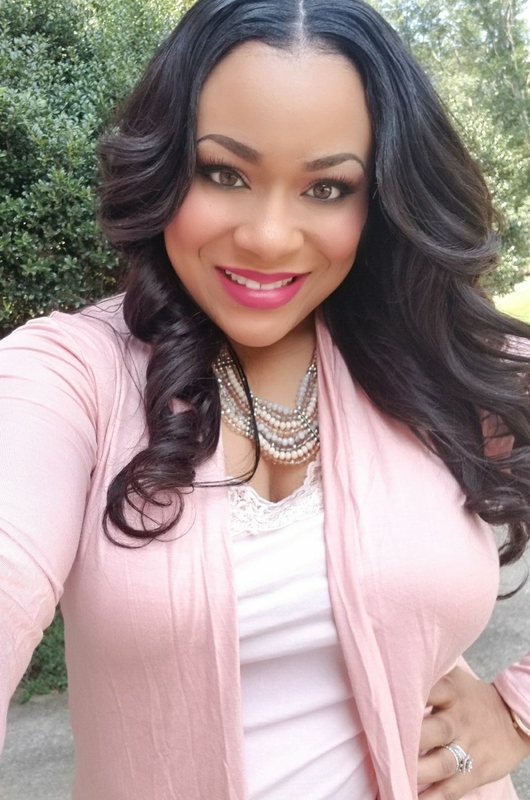 When I went to my local Piggly Wiggly, I noticed that the freezer section had a large variety of Farm Rich products ranging from Mozzarella Sticks and Meatballs, to Loaded Potato Skins! 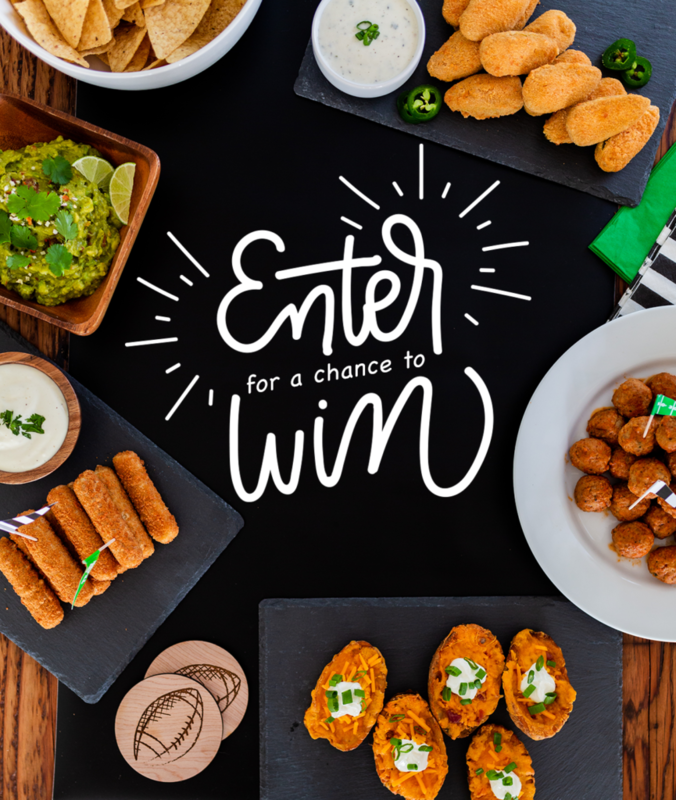 I stocked up on several of my favorite snacks…Farm Rich Mozzarella Sticks, Farm Rich Mozzarella Bites, Farm Rich Jalapeño Peppers, Farm Rich Loaded Potato Skins, and Farm Rich Homestyle Meatballs! The snacks were super easy to prepare! Several of these products can be enjoyed as fast snacks and quick microwavable meals, but I opted to bake my snacks in the oven. While they were cooking in the oven, I prepared some fresh fruit, veggies, and dips to serve with my snacks. I arranged my snacks on a tin serving platter to give my guests easy access to serve themselves! 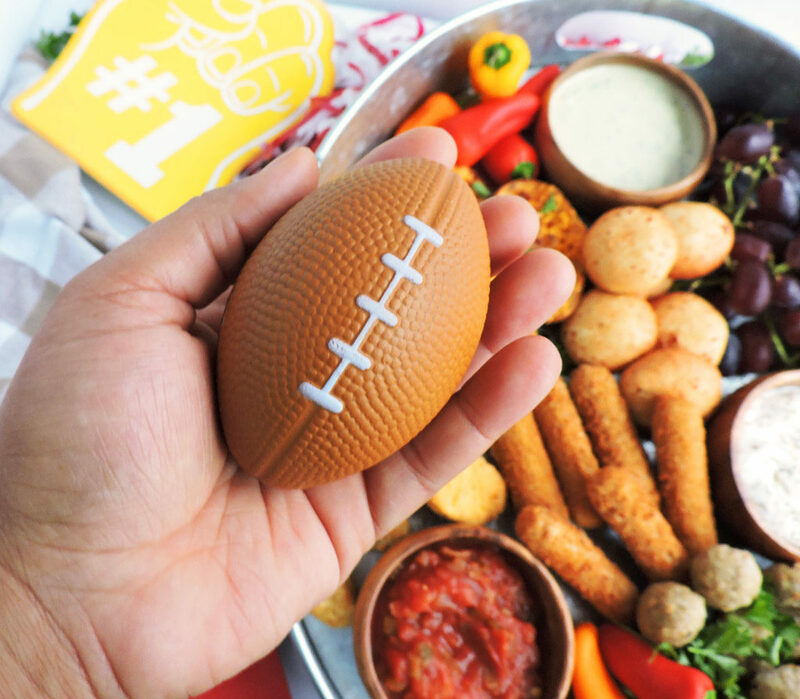 To make my game day spread fun and festive, I added mini footballs and colorful napkins to my table! I also added a few pom poms to the table! When I had my food and tablescape arranged perfectly, my husband walked in and couldn’t believe that these snacks came from the oven! He even said that they tasted better than his favorite restaurant! 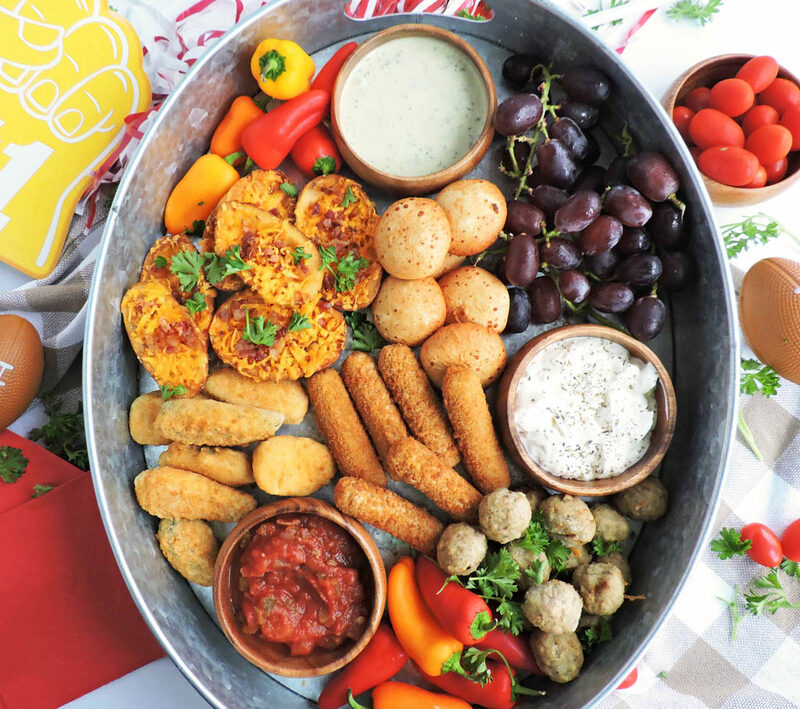 I was thrilled that I was able to create a crowd-pleasing game day spread in less than 30 minutes! I might even get a chance to actually watch the big game this year! 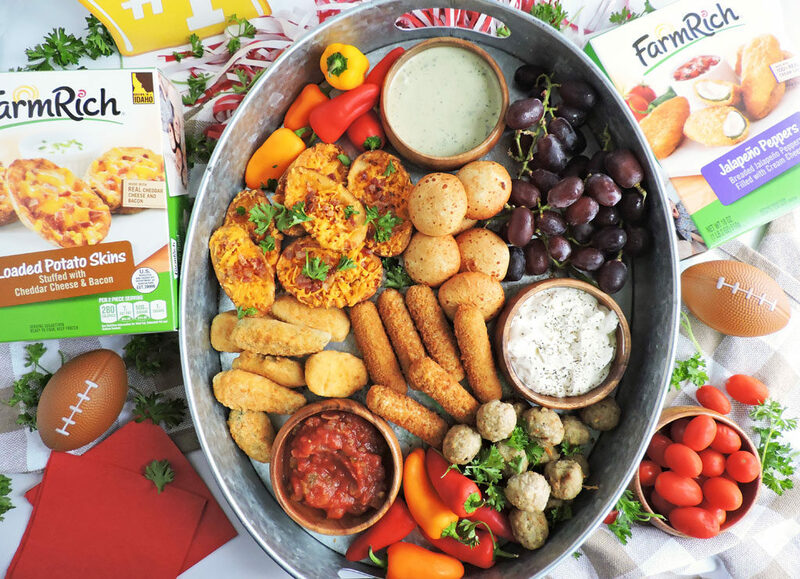 If you’re looking for an easy party menu, I would definitely suggest Farm Rich snacks and appetizers! They are great to have on game day or during a casual get-together! 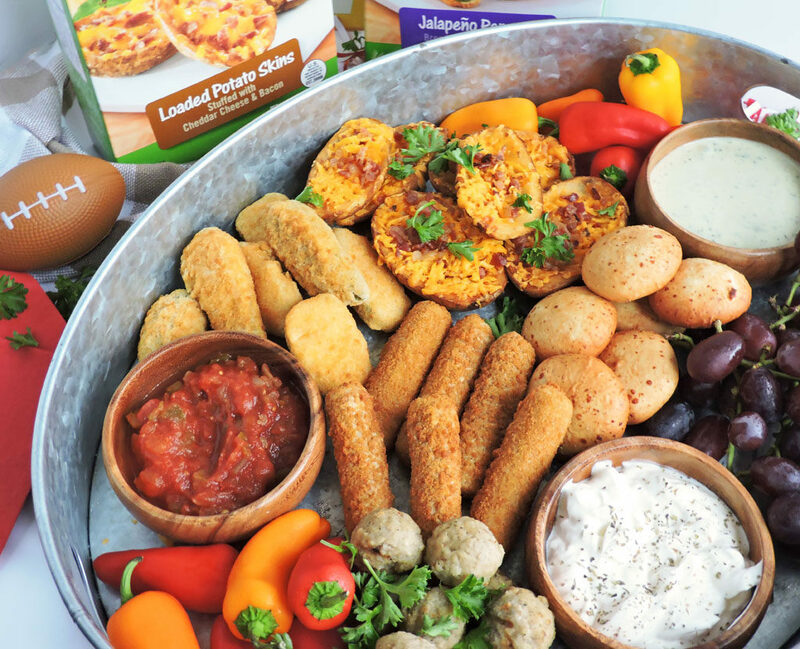 You can even get creative and add some flavorful dips and sauces to accompany your snacks! 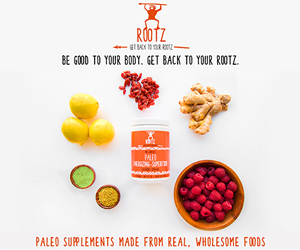 For more game day ideas, click HERE! What are your plans for game day? I would love to hear about it in the comments below!